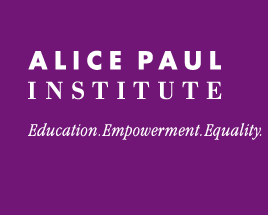 Politics fans can join influential women from New Century Trust and the Alice Paul Institute and others from around the nation on Thursday, July 28, 7:30 p.m., for a Democratic National Convention Watch Party. The evening includes food, a wine tasting, party games, networking and the “Suffragette Royale” signature cocktail to toast the historic moment in women’s history. The event will take place at New Century Trust, 1307 Locust Street, Philadelphia. Guests are encouraged to wear the colors of the suffrage movement: Purple stands for the passion of suffrage. Yellow symbolizes a ‘new day,’ the first time women would have the right to vote. White is purity, as indeed suffrage was.